For the artist, there is a case that there is a thing called unpublished album respectively. What has been neatly production, becomes a shelved for some reason, piecemeal information or transmitted, but some of the recording will be watching the light of day, not that Tsuizo be released as an album, such Not announcement album, is for the fans is something very attractive. It is or was or was “GET BACK”, or a “COLD CUTS” of Paul McCartney, or a “SMILE” of the Beach Boys, the Prince “BLACK ALBUM” of the Beatles. 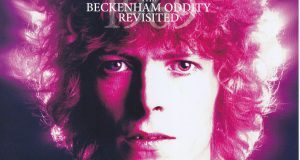 And similar unpublished album is also present in Bowie. 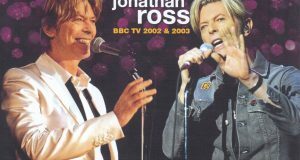 Became in recent years rarely seen David Bowie maximum of topic will be outflow sound source of unreleased album was released in 2001, “TOY”. 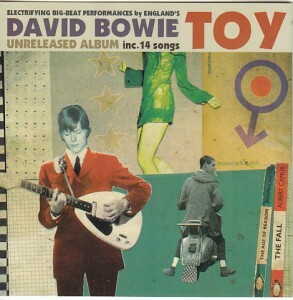 There was a large number are collector’s item entitled “TOY” until now, none or a or outtakes a live sound that borrowed the unpublished title of the album that became a vision, also or a radio sound source, Alternatively such a combination thereof, none not exceed the imagination of the fan, native form, the content of which is recorded in the studio “TOY” had never known. It is to be the first appearance in this work. 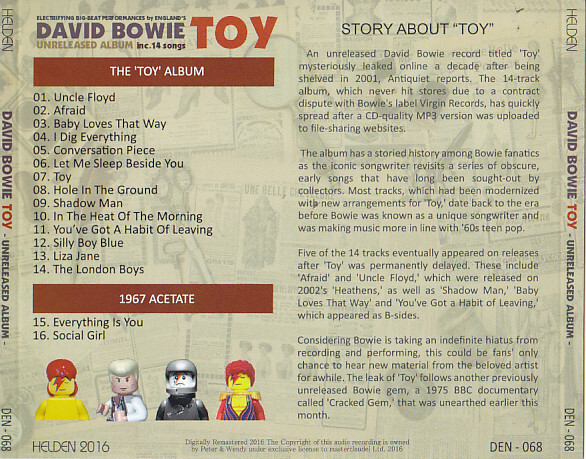 Of course, until now it is a complete recording, including “Hole In The Ground” was a completely unpublished, that it is the quality that is established as Bowie’s new album has become a hot topic even in foreign countries, it is in this unpublished album “TOY” is there. 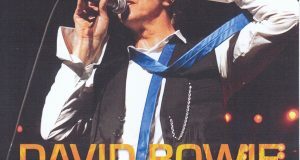 In 1999 around 2000 of the tour, Bowie is in order to shed the spotlight on their own little-known songs of the past, had taken up them in the aggressive stage. 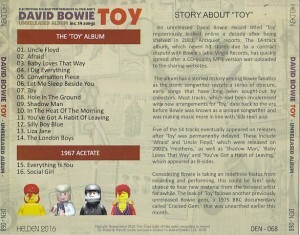 As its extension, as well as new song only, leading to planning the album “TOY” including a song that his song was self-cover of the 1960s. Is that of around 2000. However, the contents of the record company is reluctant, eventually release is postponed, it became be shelved. Some of the recording schedule song changed the title and arrangements, or the album “HEATHEN”, or had been partially published in such as single B-side, the lifetime of Bowie, after all, announced as a complete album It is that it not, the music even exact thing was not known. This work, just like should also referred to as a full board of unpublished album of the vision, is had become a big topic of fans around the world in the quality and content. That the songs of the album have been revealed, it has been recorded in the great sound quality, and more than anything, splendor of the music is not too much to just say that Bowie of the new album. Recorded in the “Heathen” after the first track “Uncle Floyd” is re-recording, later together with is retitled as “Slip Away,” “Afraid”. “Baby Loves That Way” and “I Dig Everything” in 1965 and a single self-cover, which was released in 1966, “Conversation Piece” is the song that was made in 1970, “Let Me Sleep Beside You,” “In The two songs of Heart of the Morning “is also in the unpublished songs, one in which I was able to listen only on the BBC live. It was announced been retitled as “Your Turn To Drive” to after “Toy” in the album title track. “Shadow Man” is unreleased in 1971, and “Hole In The Ground” is completely unreleased first appearance this time of the eyeball. When it comes to the “You’ve Got A Habit Of Leaving,” “Liza Jane”, it is a single song of the 1965 Davey Jones era. The last two songs as “Liza Jane,” “The London Boys” is not an album, which is said to be a single of the B-side for the stock, the one still in the fog final album was going to be in any way although, if grasped the two songs as a bonus track, do not come emerged big one concept. Also, as a bonus track, recorded two songs of 1967 with both sides of the valuable acetate “Everything Is You,” “Social Girl”. This is not a self-cover, are recorded from acetate of 1967. Young and fresh Bowie singing voice would be sounds fresh. The David Bowie of unreleased album “TOY”, this work was recorded in the complete form it is not sure to be a special one for Bowie fans. Moreover, the content is very interesting that the masterpieces of self-cover buried in and early 70s from 60s. In addition to the bonus track two songs from precious acetate of 1967. Permanent preservation firmly press platen of the beautiful picture disc specification.